Depression affects nearly fifteen million adults across the United States. Every year, roughly $42 billion dollars are spent on prescription medicines for depression and anxiety, including brands like Prozac, Zoloft, and Wellbutrin. This new evidence indicates that CBD could be an effective alternative to these pharmaceutical approaches. The study examined three month old mice (C57BL/6, 25-30mg) after undergoing either an olfactory bulbectomy, or a sham-operation. 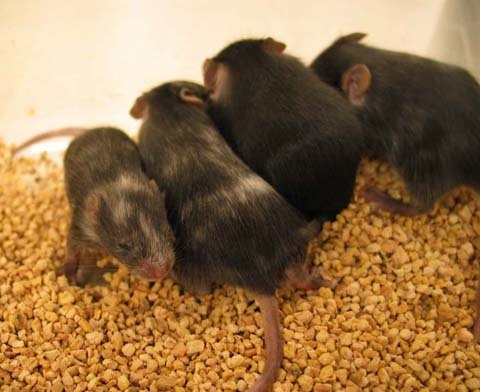 The mice that received the olfactory bulbectomy procedure are referred to throughout the study as OBX mice. The olfactory bulbectomy has been proposed and secured as a model of depression used in clinical studies. 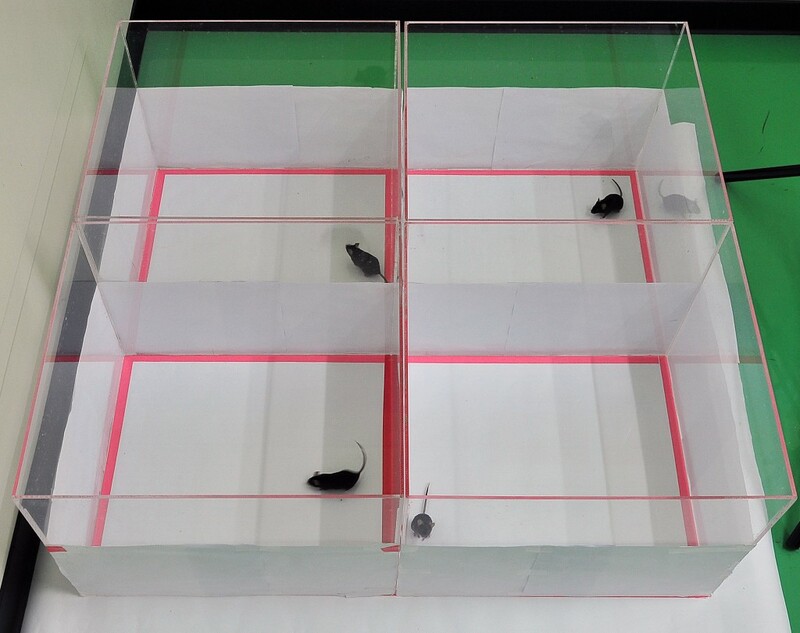 After the operation, mice exhibit hyperactivity in enclosed arenas, nocturnal hyperactivity, memory deficits, changes in food motivation, and alterations within neurotransmitter systems of serotonin and glutamate production. This study examined both behavioral and neurochemical tests. Behavioral tests included open field and sucrose preference tests, and the neurochemcial tests included microdialysis and autoradiography of serotonin receptor (5-HT1A) functionality. Traditional western medicine employs a variety of medications to treat depression. Different chemicals are used in antidepressant medication, each one targeting a specific neurotransmitter, or group of neurotransmitters. A particularly well known type of antidepressants are called SSRIs (selective serotonin reuptake inhibitors). There are many SSRIs with brand names that are regularly advertised on television and radio: Prozac, Lexapro, Zoloft, and more. This study focuses on the cannabis compound CBD (cannabidiol) as a novel treatment for depression symptoms. 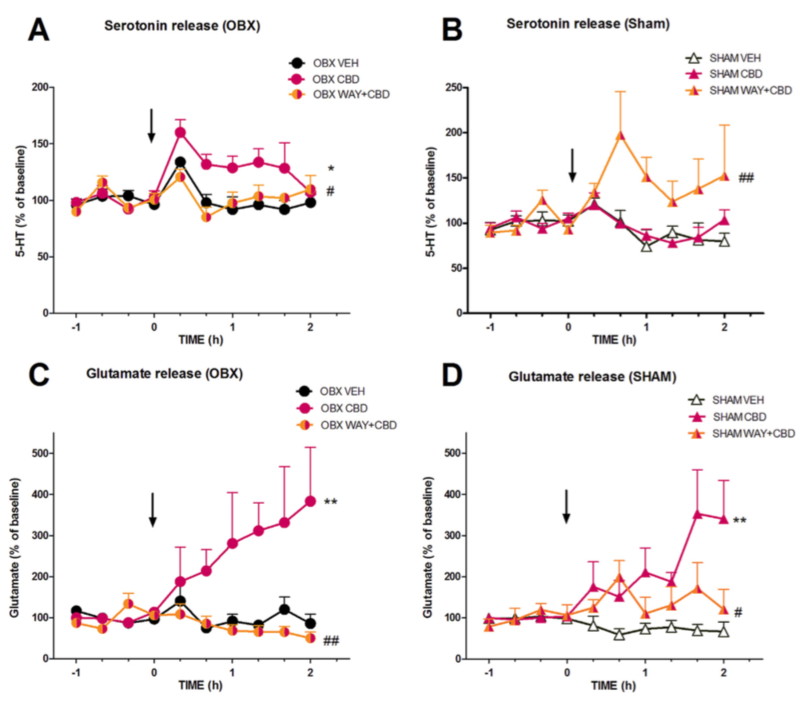 Activity of serotonin, glutamate, and the 5-HT1A receptor are of particular interest for these researchers as they monitor the OBX and sham-operation mice. 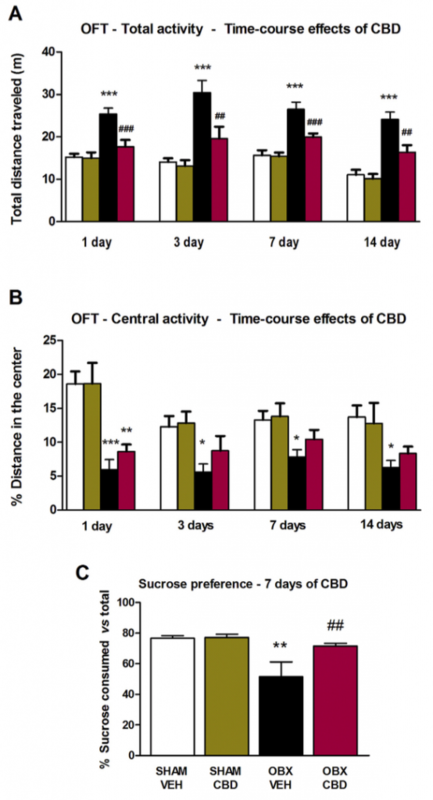 The results of the study indicate that CBD can provide both rapid and long-term antidepressant-like effects. 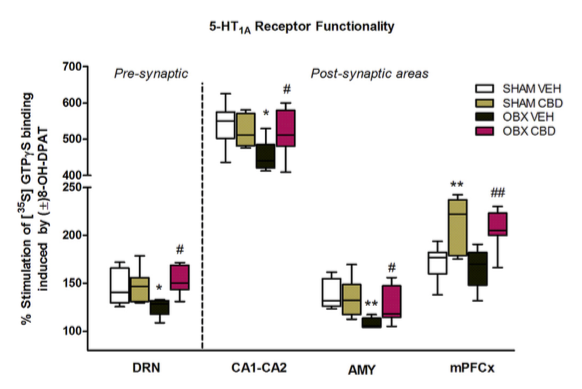 All graphs are from the study: “Cannabidiol Induces Rapid-Acting Antidepressant-Like Effects and Enhances Cortical 5-HT/Glutamate Neurotransmission: Role of 5-HT1A Receptors,” with image credit going to R. Linge et al. in Journal of Neuropharmacology: 103 (2016) 16-26 (DOI: 10.1016/j.neuropharm.2015.12.017). 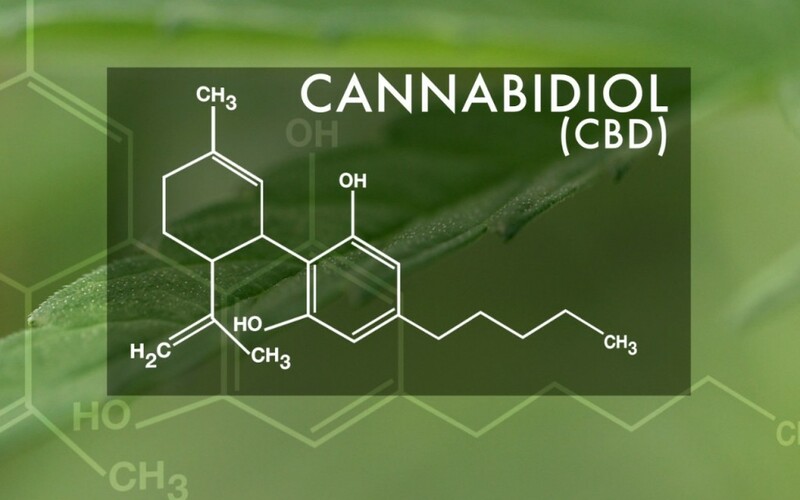 “In all, CBD is a multi-target drug that can modulate a variety of systems implicated in mood control and therefore, result in a great value from a clinical point of view. 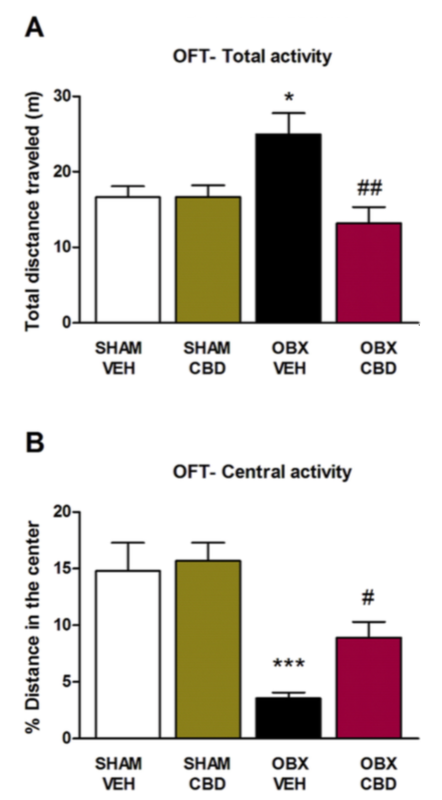 This work evidences that CBD could represent a novel drug for treating depressive disorders in a very fast manner, acting via the enhancement of serotonergic and glutamatergic transmission through the modulation of 5-HT1A receptors. The fast onset of antidepressant action of CBD and the simultaneous anxiolytic effect would solve some of the main limitations of the current antidepressant therapies. Furthermore, the broad range for therapeutic dosage and the lack of psychotomimetic effects confers a fundamental advantage for its use in clinical practice compared to other fast-acting antidepressant alternatives. 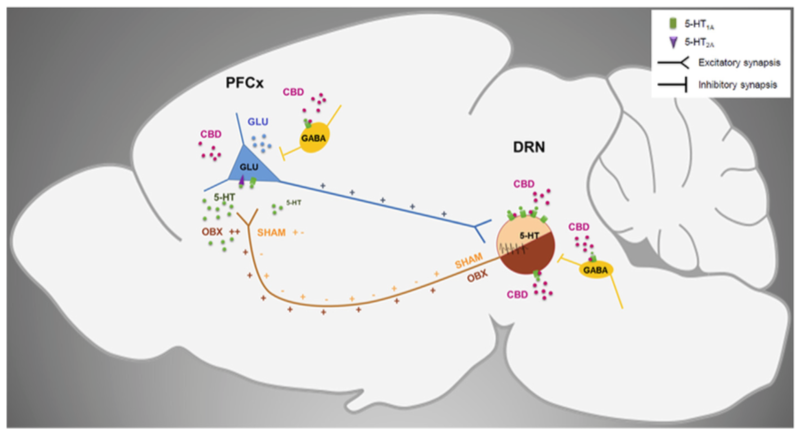 Cannabidiol clearly has a role in neurotransmitter activity. Science is beginning to understand more about interactions between CBD and the many receptors involved in mood regulation, which will hopefully result in new medical approaches for treating symptoms of depression.